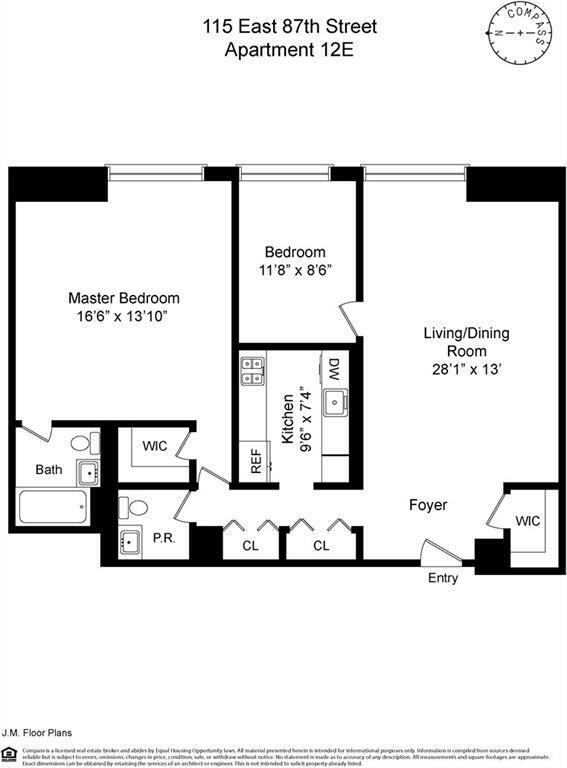 Best value for a 2BR/1.5BA in Carnegie Hill. Very large, East-facing junior-4 in full service, luxury building just off Park Avenue. Large living room with a separate dining area that has been converted to a den or additional bedroom. Galley kitchen with new refrigerator and stove. King size master bedroom. 1.5 baths, one ensuite. Abundant closets including two walk-ins. 5th Floor wraparound deck, garage, laundry room, 24 hour doorman. Building allows pets and pied-a-terres. Near Central park, shopping Whole Foods and transportation including 4/5/6 at 86th and Lex and Q at 86 and 2nd Ave. Low monthlies! Listing courtesy of Cassie D'agata Fallon of Compass.